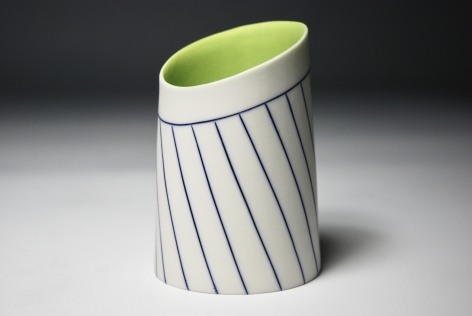 Lara is a graduate of Camberwell Art College in London, and she holds a Postgraduate in ceramics from Edinburgh College of Art. 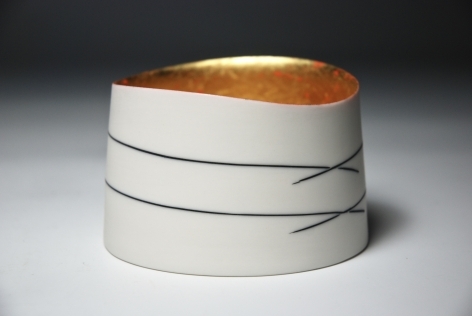 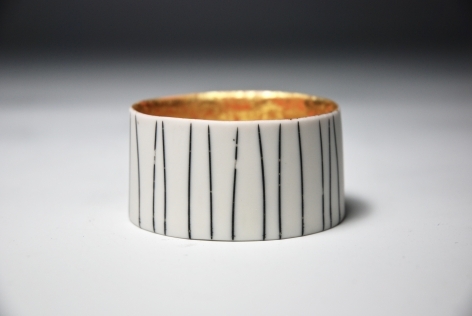 She has exhibited extensively and has received many awards for her work including Premier winner of The Fletcher Challenge in New Zealand and Honourable Mention at Mino Ceramics, Japan. 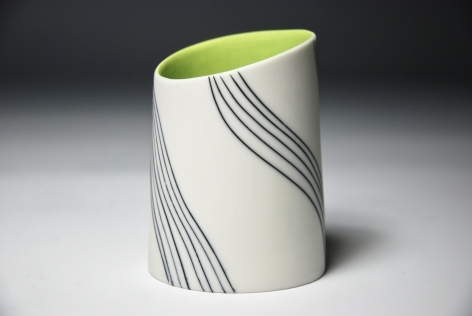 Lara is a fellow of the Craft Potters Association of Great Britain and a professional member of Contemporary Applied Arts, London. 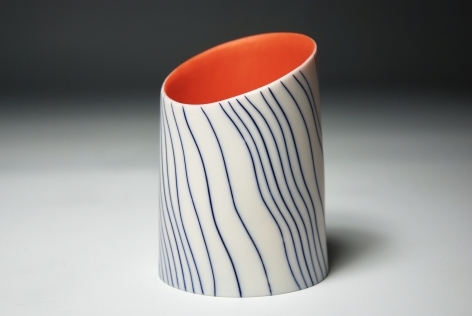 Lara has extensive teaching experience having taught ceramics and design at Duncan of Jordanstone College of Art for over 20 years. 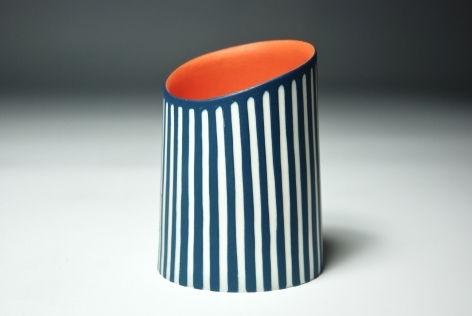 Lara presently works full-time on her her ceramic practice and is currently developing new work for Tansey Contemporary in Santa Fe, USA. 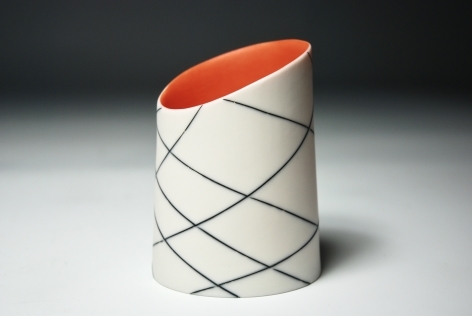 My ceramic vessels are an exploration of pattern and three-dimensional form. 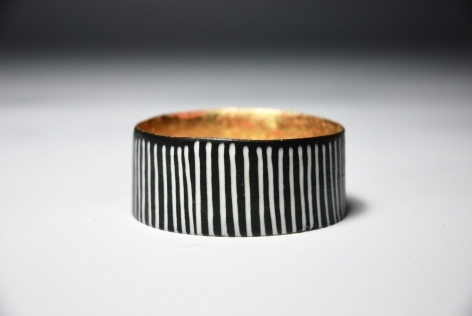 Employing drawing as my main process of mark-making I aim to capture the moment the hand engages with the clay surface. 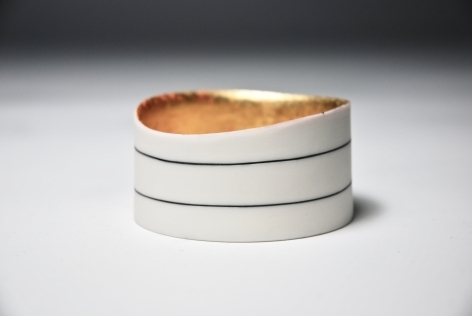 The surface is cut and scored as I work round the form, responding intuitively as the pattern emerges. 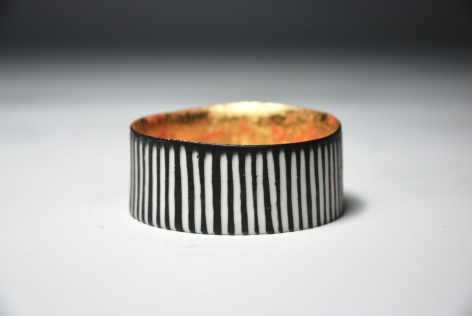 I want to retain the immediacy of hand drawing and marry freshness and spontaneity with exquisite craftsmanship.